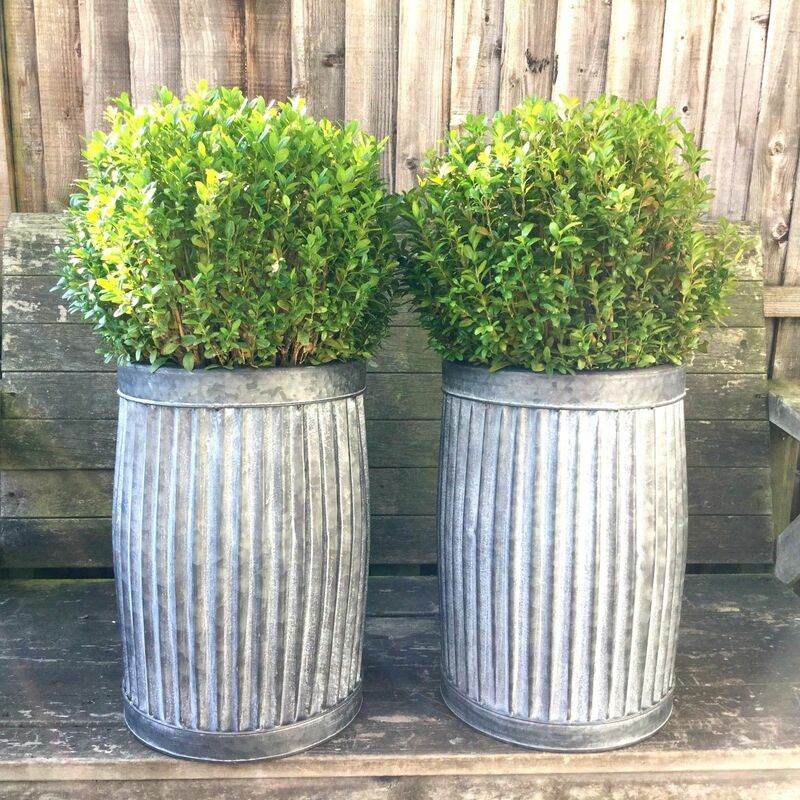 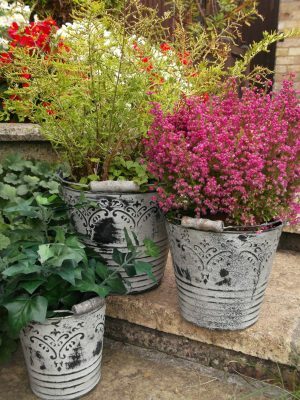 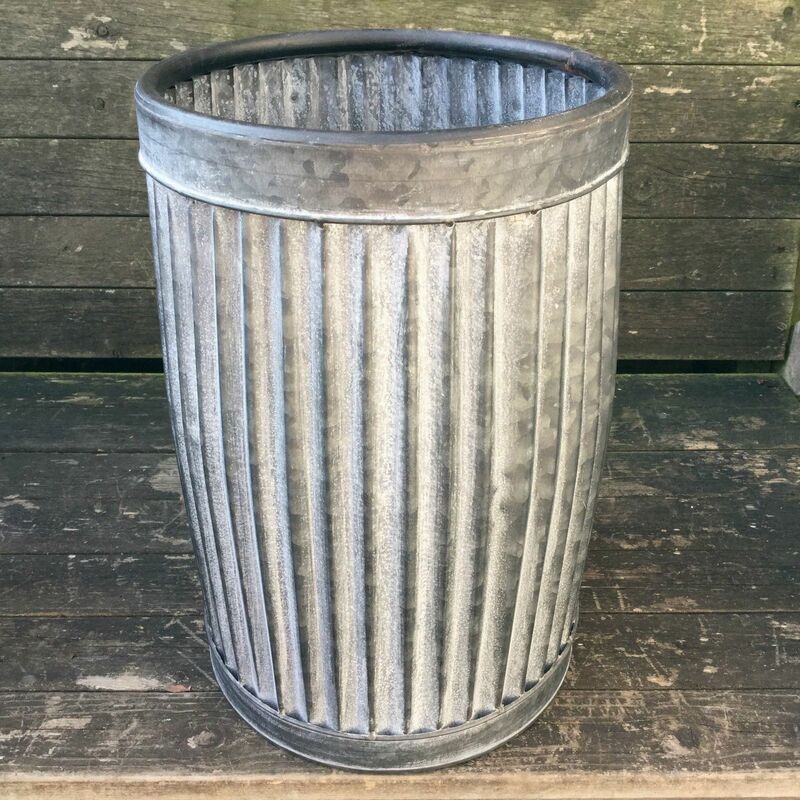 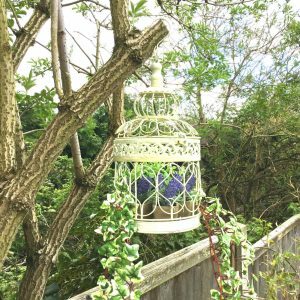 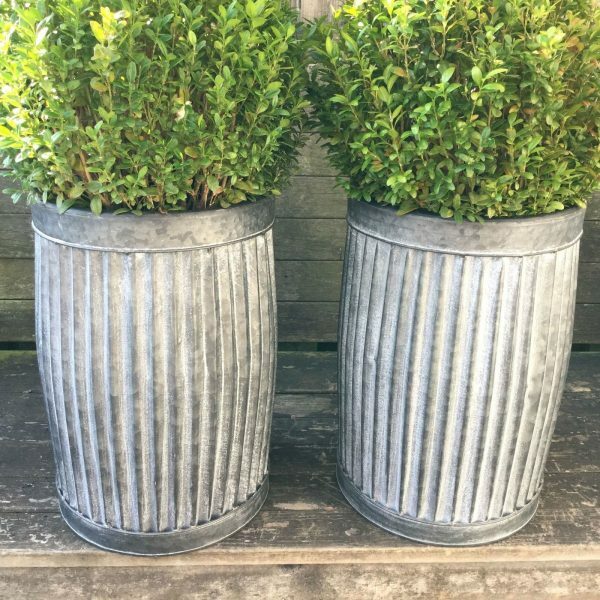 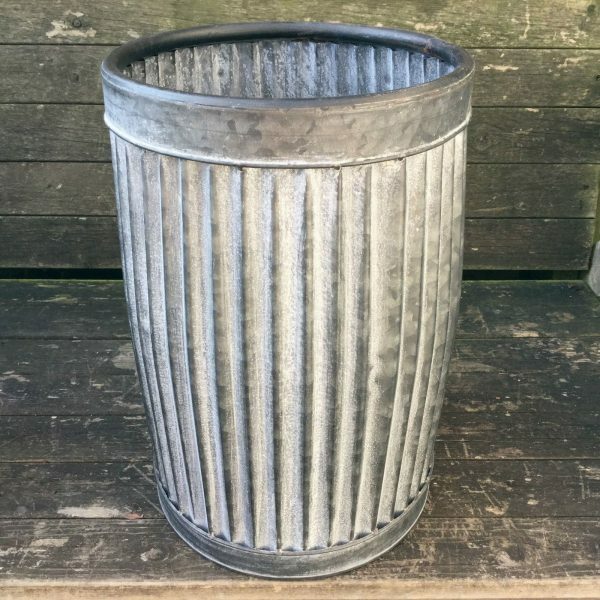 A Vintage Style sturdy Galvanised Metal Planter which looks fabulous when planted with shrubs, trees or evergreens. 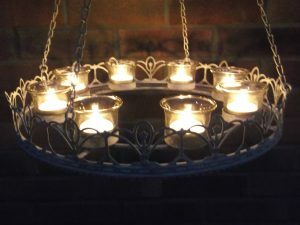 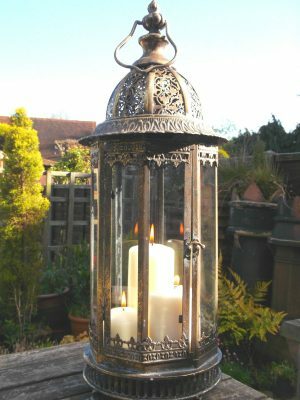 It has a sturdy rolled top edge and is finished in a slightly distressed french grey colour which adds to their vintage rustic appearance. 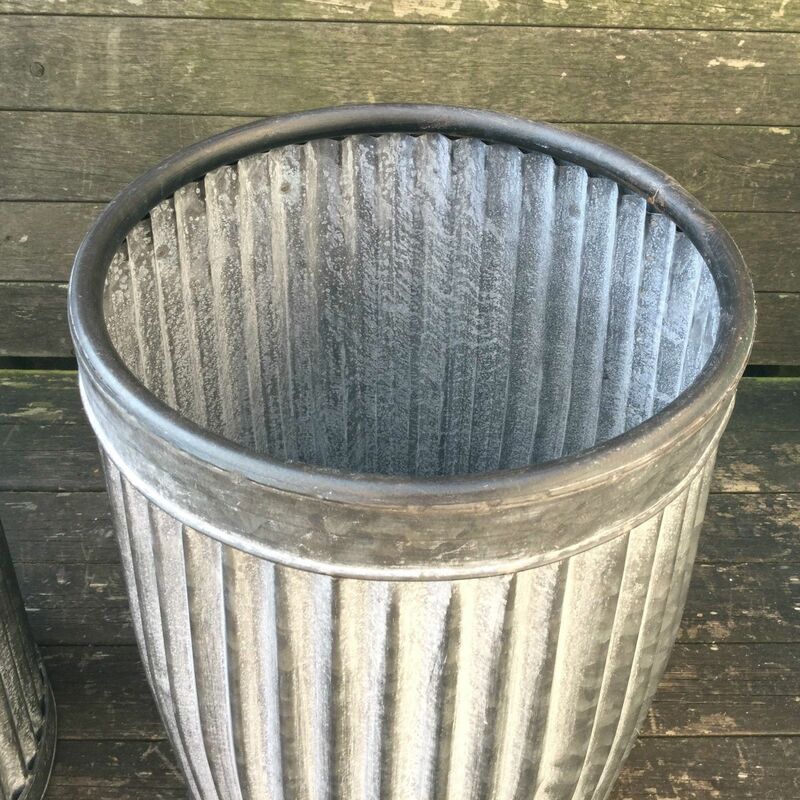 A really versatile planter which look equally stunning indoors, in a conservatory, or in the garden/patio.